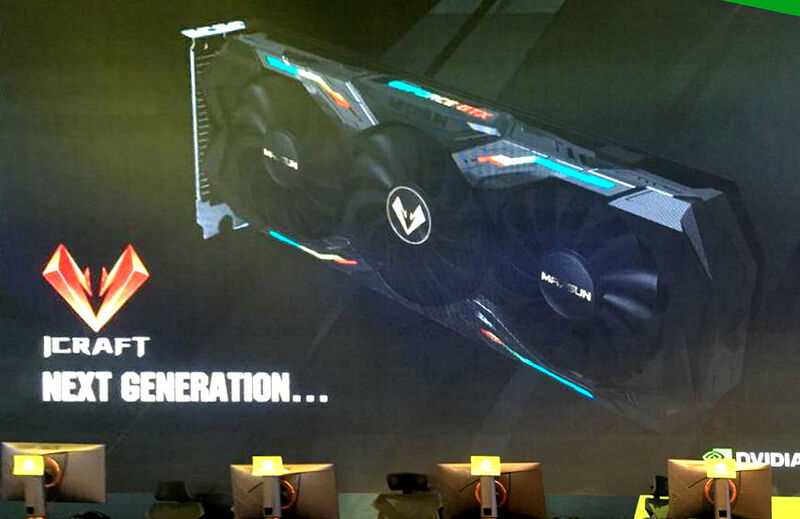 This might be the first picture showing a full graphics card from the next generation. The new triple-fan and dual-slot model is part of iCraft series — Maxsun’s premium segment. The front has four LED stripes, which do appear to be RGB. Same applies to the side LED GeForce GTX logo. There are no other lighting effects as far as we can see. It’s worth noticing that model appears to have a single 8-pin power connector. It is also worth mentioning that there is no DVI connector on the bracket. The new GTX 2080 iCraft does not carry any model marking, so we have no confirmation on GTX 2080 / GTX 1180 from Maxsun. Maxsun is Chinese board partner of NVIDIA. You won’t be able to find these cards globally. We have reached out to Maxsun for a comment.